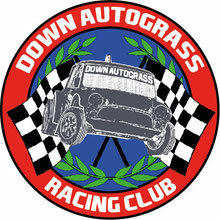 The governing body of Autograss is N.A.S.A they issue annual licences for Drivers,Mechanics,Members and Juniors. Licences are available to both male and females, all junior drivers must be signed on at every race meeting by a adult with a valid licence. Please remember that the adult who signs the junior on is responsible for that junior driver and their car. It is recommended that the adult signing on the junior be a close relative/guardian when possible. License Secretary for this year is Ciaran Smyth. Licenses can be got at a couple of meetings which will be scheduled for early 2018. Additional rule books £2.50, Day licences £20. Admission to track £7 (adults, full license holders and over 16).